The history of baseball is rife with colorful characters. But for sheer cantankerousness, fighting moxie, and will to win, very few have come close to Leo "the Lip" Durocher. Following a five decade career as a player and manager for baseball's most storied franchises, Durocher teamed up with veteran sportswriter Ed Linn to tell the story of his life in the game. 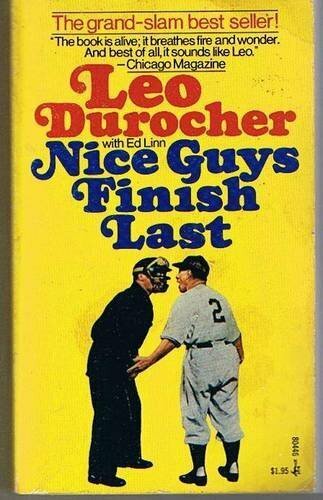 The resulting book, Nice Guys Finish Last, is baseball at its best, brimming with personality and full of all the fights and feuds, triumphs and tricks that made Durocher such a success and an outsized celebrity.